"The Luciferian Conspiracy" is a work which is jam packed with any and everything one could ask about the origins of various ancient fraternal orders. Both negative and positive. It speaks to the true origin of Lucifer. Is he a spirit, a man, a demon? Is he even an individual at all? The answers are within. It reveals the various differences between a satanist and the far more dangerous Luciferian. 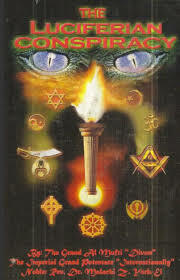 It speaks to the existence of beings known as Reptilians and the most well known Luciferian Order in existence. The Illuminati, which has infiltrated ALMOST every great order of this day.